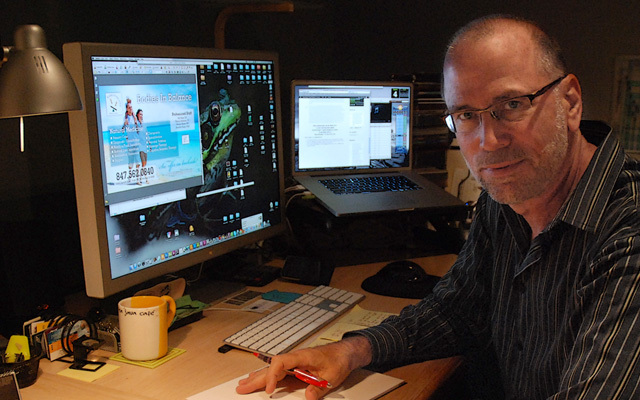 I’m Lee Roesner, owner of Paradigm Graphic Design & Web Development and I’ve been in business since 1996. Always the artist and the creative, I made my living in the music business, audio and video production, photography and printing that eventually grew into web design and development. Prior to starting Paradigm, I worked in corporate America, where I grew and managed an in-plant design and print department for 10 years for Grace Dearborn in Lake Zurich, IL, that at the time was a division of W.R Gracem where I eventually pulled in-house all sales and marketing creative services for the U.S., that includes design and development of all technical training materials for a sales force of about 300. The company was sold in 1996 and it was time to do my own thing. As far as marketing and design goes, the question for you is: can you do without the dog and pony show? My style is relaxed and personal ~ and is a one-on-one professional service. I’m an excellent listener and take personal ownership of the projects I’m responsible for. If you can do without the dog and pony show, then you can save yourself considerable time and money by working with me – while getting even better results (I’ve fixed a lot of agency work). I can create and manage all your marketing and graphic communication needs, fast and efficiently, and offer you far more for far less.